Every Thursday comes with a word or phrase. Kudos – the admiration and respect that goes with a particular achievement or position. the kudos of collaborating with such amazing people. I bid you a wonderful evening! May you find some answers…Perhaps this is what we are looking for: wonderful evenings and good answers. 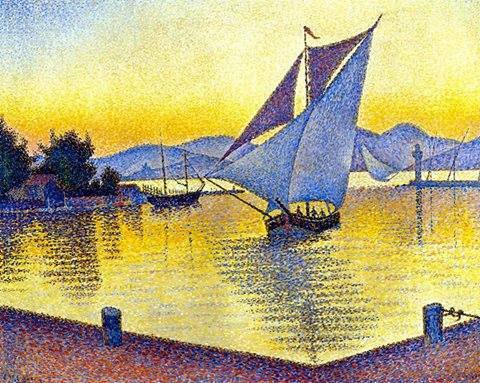 Photo: Le port de Saint-Tropez au coucher du soleil Paul Signac 1892.